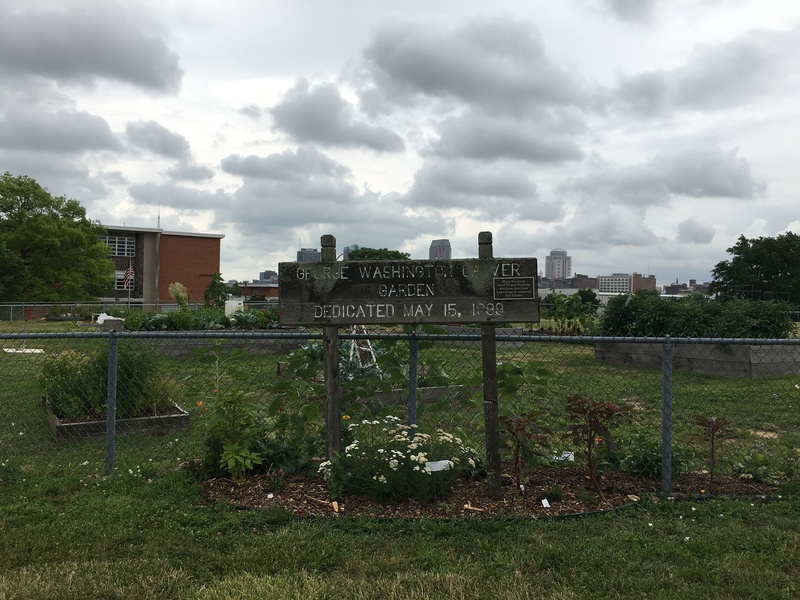 Gateway Michael Elementary has always had a school garden but in recent years, it has taken on more importance. Edward Scruggs, Oliver Tindle, and Rosemarie Schelling are three teachers that have been vital in the success of the school garden. 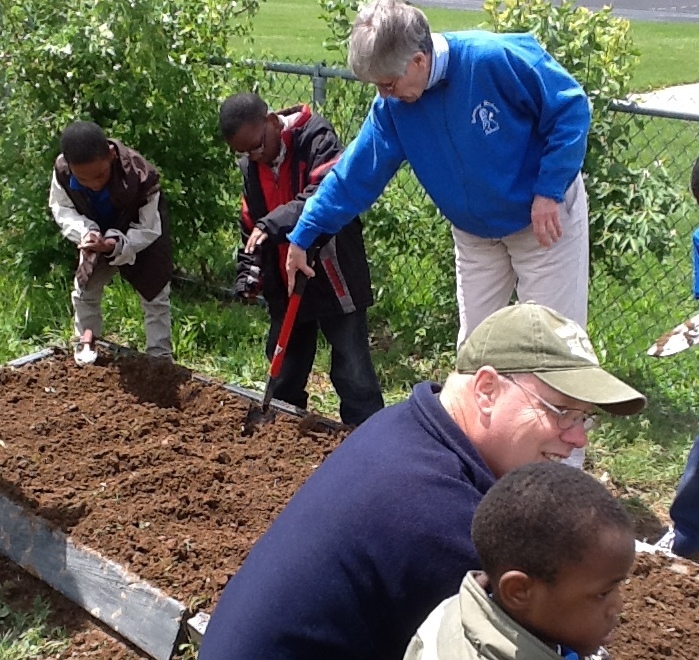 When Edward Scruggs started at Gateway in 2000, the school had a small garden that was mostly led by teachers and PTA members. Over time, those responsible for the garden retired and weed overtook many of the beds. In the spring of 2013, Edward Scruggs decided to bring the garden back to life. With the help of a group of volunteers, he spent the next few months digging out the weeds, planting new crops, and – because there was no irrigation system – hand-watering the entire garden himself. He soon recruited Rosemarie Schelling and Oliver Tindle to help with garden maintenance, since they were both avid home gardeners. Rosemarie Schelling had started garden beds at Gateway Michael over 20 years ago and was eager to start the garden back up. Mr. Tindle describes the revitalization of the garden as a “catalyst for change” and it brought new energy to the school. The garden inspired the entire staff to start a faculty exercise program to encourage each other to stay active. This enthusiasm spread throughout the building and in 2018, Gateway Michael received the Silver Award for America’s Healthiest Schools! President Bill Clinton praised Gateway Elementary and Gateway Michael as “one of the healthiest schools I have ever seen,” during his visit to the school in 2017. Gateway Michael is a unique St. Louis Public School that serves students with severe deficits in cognitive, motor, and speech areas. 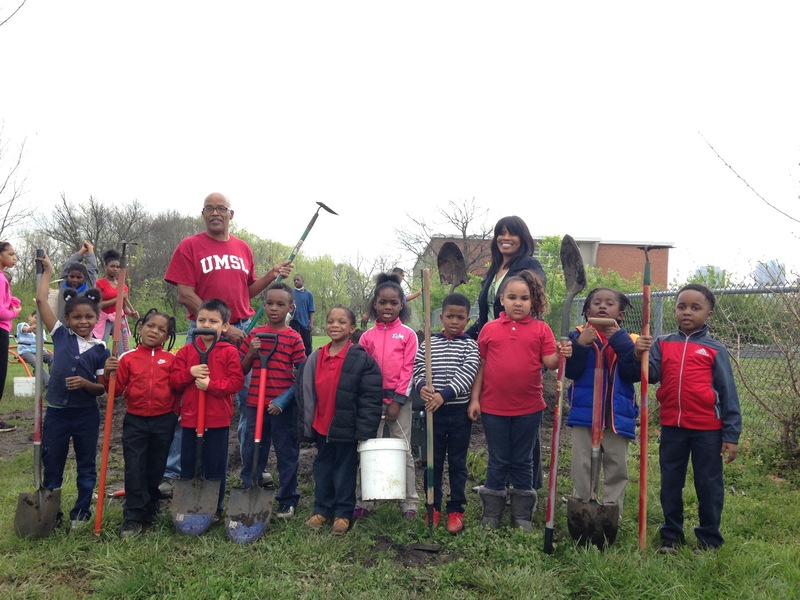 In 2017, Healthy Schools, Healthy Communities (HSHC), an initiative funded by the Missouri Foundation for Health, helped make the garden space more accessible for students. They installed double-high raised beds and a wheelchair accessible pathway around many of the garden beds. Scruggs, Tindle, and Schelling have found ways to incorporate the garden into special education, like having the students use hand shovels to move soil and directly observing weather patterns. In addition to being an outdoor classroom, Oliver Tindle says “The garden provides peace of mind and physical expression for the staff and students.” The garden allows the students to feel responsible for something while being supported in a safe space. Rosemarie Schelling proudly shares that during a MAP test this past winter, one of her students was able to make a connection to something they had learned while being in the garden. When asked about the garden, Edward Scruggs enjoys telling the story of giving a group of students a packet of cucumber seeds. One student was so excited because he knew pickles came from cucumbers from his time in the garden. Though he no longer has to hand water the garden, Edward Scruggs often spends hours working in the garden each afternoon. His initial goal “to make the garden look good” has grown into something much more. 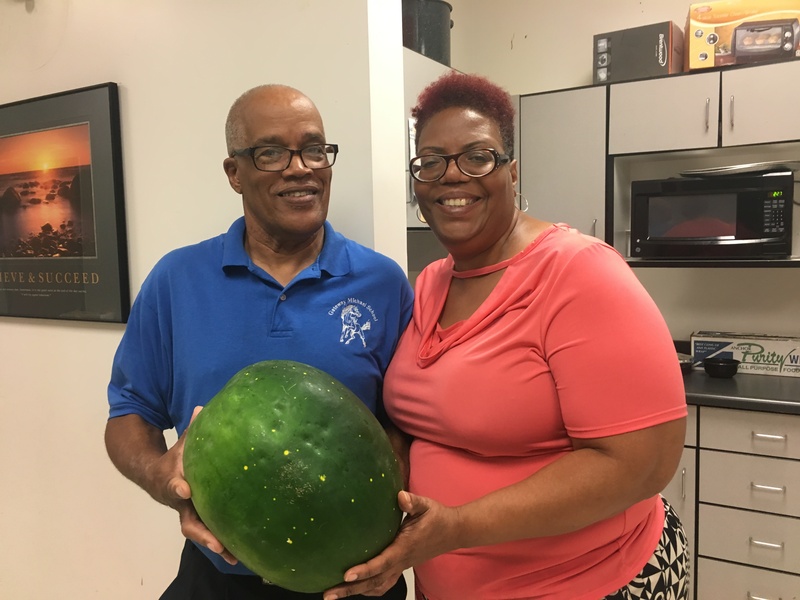 Scruggs wants to continue expanding the garden and dreams about growing enough for parents and community members to take the produce home.